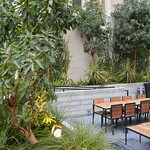 Rooftop gardens can be so much more than pots of flowers or grass atop a few inches of soil. 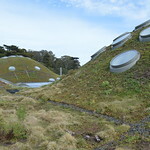 Today, designers are creating green roofs that focus on critical environmental issue like heat, storm management, and ecosystem development while at the same time offering beautiful, livable, sustainable green landscapes that create space for urban wildlife. Join us for a lunchtime panel discussion and slideshow of beautiful green roofs from all over the world, with highlights from Switzerland. 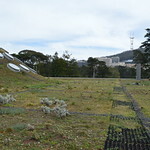 Panelists address the potential for a San Francisco green roof policy and applications to increase the number and function of green roofs as an urban planning tool. 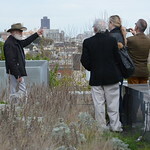 The discussion is followed by a bus tour of the city’s best green roofs, including California Academy of Sciences, the Drew School, and 620 Jones. 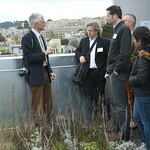 The tour is led by Dr. Stephan Brenneisen and Dimitri Meierhofer from Green Roof Competence Center at Zurich University of Applied Science, and Lisa Lee Benjamin from Evo Catalyst in San Francisco. All three are part of a collaborative group called UG Lab. 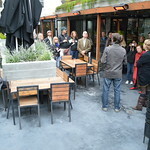 The day closes with a drink at 620 Jones, a rooftop garden bar designed by architect Peter Strzebniok and Colleen Smith, and the book launch of The Professional Design Guide to Green Roofs by Lisa Lee Benjamin, Karla Dakin, and Mindy Pantiel. 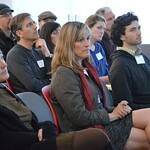 This event is the first of a series on green and living architecture. 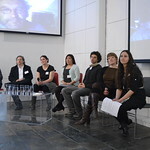 It will be followed by a study tour in Switzerland for a select group and culminate in a number of events around the Cities Alive conference October 23-26, 2013. 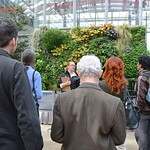 Cities Alive is North America’s only conference dedicated specifically to green roofs and walls. Lisa Lee Benjamin perseveres in her pursuit to generate landscapes worldwide that unite people, art, and science. Her San Francisco-based environmental design and development consultancy, Evo Catalyst, creates solutions for diverse animal and human habitats, challenging conventions of sustainability and community. 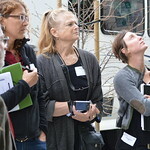 These collaborative projects include green roofs, small-scale agriculture, food and forest systems, hedgerows, wetlands, and residential and public gardens. 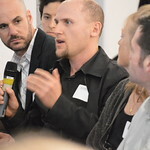 Benjamin wears many hats and is an avid instigator and founding member of many initiatives including Urban Hedgerow, Green Roof Alliance, Growwest, Alpine Initiatives, and UG LAB. She is a guest lecturer at the Zurich University of Applied Sciences. 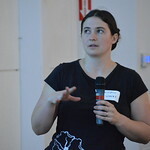 She is co-author of The Professional Design Guide to Green Roofs, published in February by Timber Press. 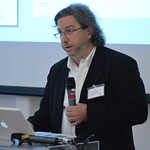 Stephan Brenneisen is a green roof and biodiversity expert and head of the Green Roof Competence Center at Zurich University of Applied Science. 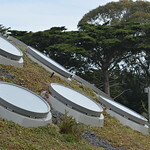 He has a Ph.D. in geography, and is a true leader and pioneer in the green roof field. 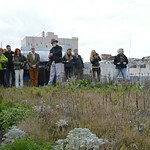 For over 15 years, he has opened many doors in the green roof world and challenged how we think of green roof biodiversity. 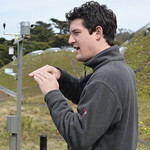 Brenneisen has demonstrated his ingenuity and critical thinking about ecosystems, urban greening, substrates, and how we interact in our world. A well-known international speaker and educator, he is dedicated to sharing his knowledge through teaching, writing, and cutting-edge research. 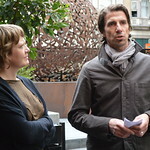 He has also created a successful model for policy and green roof implementation in Basel and Zurich and is constantly creating new green solutions for improving urban habitats. 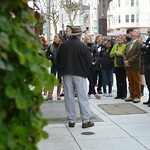 Jeff Joslin is Director of Current Planning for the City and County of San Francisco. Prior to his recent appointment, he was based in Portland, Oregon, as an urban designer, planner, regulatory artisan, and developer. His life’s work has been driven by a desire to advance the design and sustainability of the built and the natural environment. For 15 years he managed Portland’s urban design and preservation programs and processes. During that time, he contributed to a range of sustainability efforts, including the establishment of numerous green policies, programs, and regulatory frameworks. 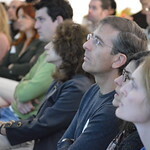 Previous to this, Joslin was a practicing architect, sustainability researcher, award-winning salvage and recycling author, renewable energy lobbyist, educator, and activist. 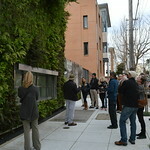 He holds a Bachelor of Arts in Urban Sustainability Studies from Brown University, a Masters of Architecture from University of Oregon, and a Masters of Science in Architecture and Urban Design from Columbia University. His 24-year-old daughter Lily, a brilliant and effective farm-to-school educator and activist, is his best work. Keith Agoada has been recognized as a leading innovator and strategist in commercial urban agriculture and sustainable food development in the United States and internationally. 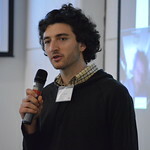 In 2008, as a student in business at the University of Wisconsin-Madison, he wrote the feasibility study and business plan for Sky Vegetables, a company focused on developing rooftop greenhouse hydroponics on the unused rooftops across the United States. After receiving several awards, Agoada launched Sky Vegetables as a full-time venture, becoming the first commercial rooftop farming company in the United States. Thereafter, he secured private financing and added a professional management team. Sky Vegetables currently operates two urban farms in New York and Massachusetts and has others in development. Agoada currently serves on the Board of Directors of Sky Vegetables Inc, consults on sustainable food ventures and the development of innovative products, brands, and sustainable agriculture operations in the United States and Panama. Co-author of The Professional Design Guide to Green Roofs and landscape architect, Karla Dakin specializes in artful, environmentally bold creativity with an array of international projects. Shaped by a career in the national art world, her work continually references art. Plant-obsessed, Karla uses vegetation in forward thinking ways, as exemplified by her roof garden for the Museum of Contemporary Art / Denver. This passion for art and design leads to an intriguing twist in her collaborative designs. 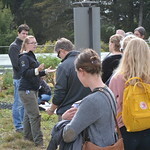 Her enthusiasm for green roofs led her to be a founding member of Growwest and an active member of Green Roofs for Healthy Cities. Moderator Yolanda Manzone is an Environmental Justice and Land Use Analyst at the San Francisco Public Utilities Commission (SFPUC), where she coordinates a range of projects that advance the SFPUC’s environmental justice and land use priorities, including urban agricultural programs and policy development. Manzone brings over five years of experience representing public agencies as an environmental land use attorney at the law firm of Hanson Bridgett LLP. 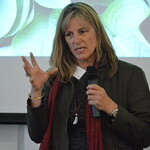 Prior to joining the SFPUC, she served as the Advocacy Manager at FairFood International, a non-governmental organization advocating for environmental and social justice in the food and agricultural industries. 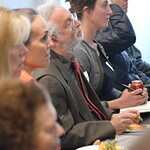 She holds a Juris Doctor from the University of California, Hastings College of Law, and Executive Masters in Business Administration in Sustainable Management from the Presidio Graduate School of Management, and has a LEED® Accredited Professional Certification. 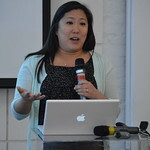 Kay Cheng is a LEED accredited planner/urban designer at the San Francisco Planning Department currently working on the Urban Forest Plan and Pavement to Parks program. Combining previous experience working at New York City Planning, landscape architecture, architecture and transportation planning firms Kay has experience on a wide scope of private and public projects. Kay holds a Master’s of Science in Urban Planning from Columbia University and a Bachelor of Arts in Urban Planning and minor in Digital Design from the University of California Riverside.